Club Penguin Cheats by Mimo777 Club Penguin Cheats by Mimo777: Club Penguin Christmas Party FREE item... Milk 'N Cookies Pin! Club Penguin Christmas Party FREE item... 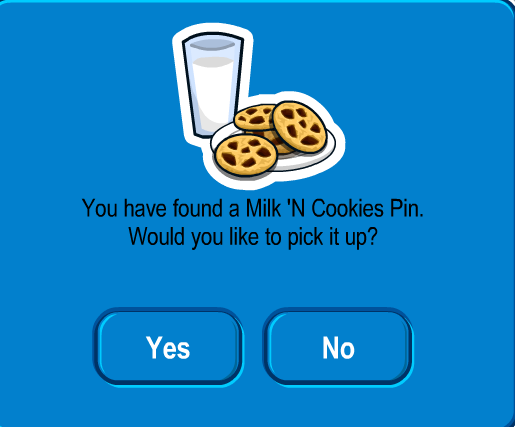 Milk 'N Cookies Pin! The December 22nd new Club Penguin FREE item from the 12 Days of Free Gifts in the Forest is here! Awesome pin today! I love it! Might have to leave it out for Santa, huh?